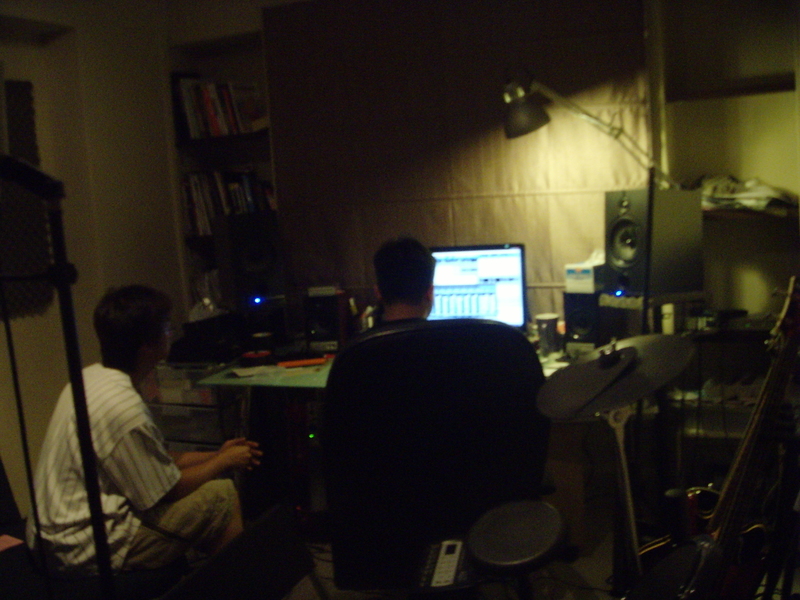 We went to Roland Lim’s place to record my vocal tracks. He’s a sound engineer and he does all his his work in his room! We were impressed with what he has in store for us. He’s such a humble guy with full of brilliant ideas and he shared some tips too about how I should sound like in a particular song. We don’t think musicians are aware of his talent but if you have time do check his profile and if you like what you hear, I suggest you give him a buzz and record a song or two with him. Below is a picture of Mik trying hard to guess where Roland bought his blinds from. lol! I just made that up!